Following the Nexus 5X’s appearance at the FCC on Friday, the bigger, more premium brother has done the same in preparation for tomorrow’s event. Yep, the Nexus 6P has arrived. Not that this FCC document is giving us much in the way of new information, thanks to that mega leak that showed up over the weekend, but still, it’s nice to see the phone become official and ready for launch. So what do we know now? A couple of things. 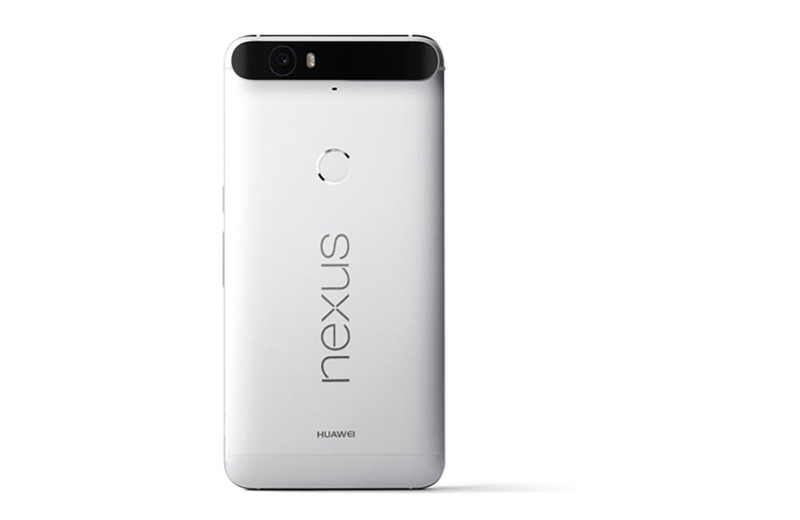 Like the Nexus 5X, there are North American and international models. The NA model is the Huawei H1511 and the international unit is H1512. Both stopped at the FCC and are linked in the source section. In this first image, we have measurements for the device that much up to the leak over the weekend for the most part as 159.2×77.8mm. 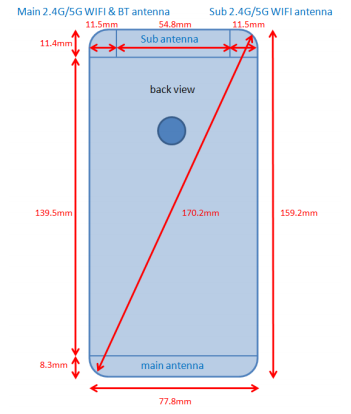 The image also shows the location of the fingerprint sensor and the antenna design. The NA model supports all of the major US carriers, just like the 5X, and yes, that includes Verizon. It has both GSM, WCDMA, and CDMA support, so it will work everywhere. 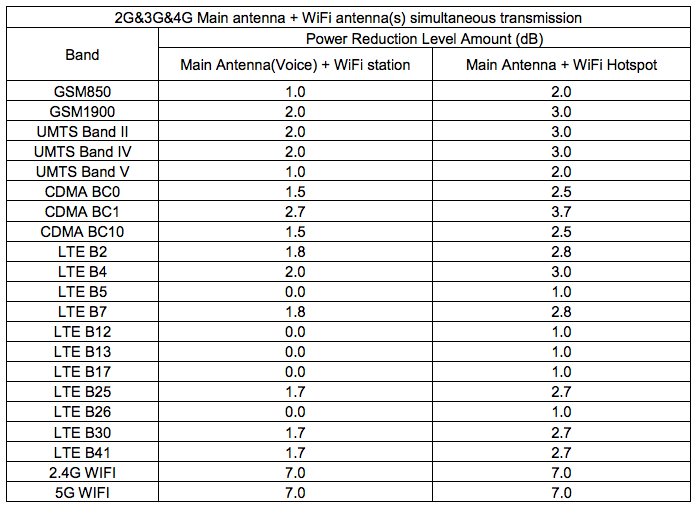 As for LTE bands, you have support for band 2, 4, 5, 7, 12, 13, 17, 25, 26, 30, and 41. See for yourself in the chart below. If you want to start firing up some conspiracy theories, check out the section we have included above, which mentions “micro SD card” slot a couple of times. The two references are included in the device’s General Description area, where FCC filings tend to describe some of the functionality of the phone being tested. The odd references speak of an external interface, as well as an internal one with reference to removal storage. I wouldn’t think that documents would mention this if they weren’t testing it on some level and if it wasn’t an included technology, so take it as that. There is a chance the Nexus 6P has an SD card slot. Slight or maybe even better than slight chance. Finally, here is a confirmation on the battery size of 3450mAh and also the band support for the international model. 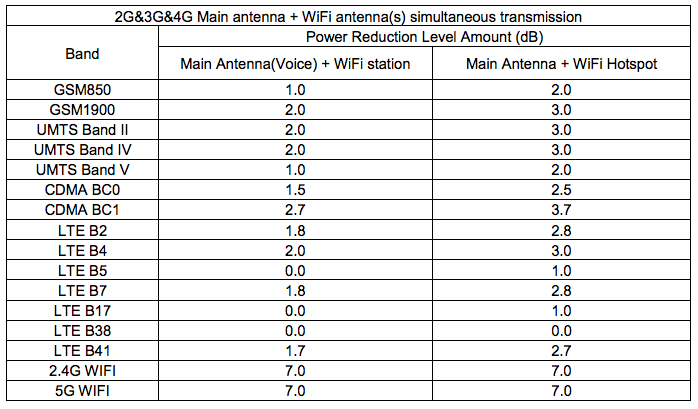 If anyone of the wireless carrier band talk confuses you, hit up our US wireless carrier band cheat sheet.